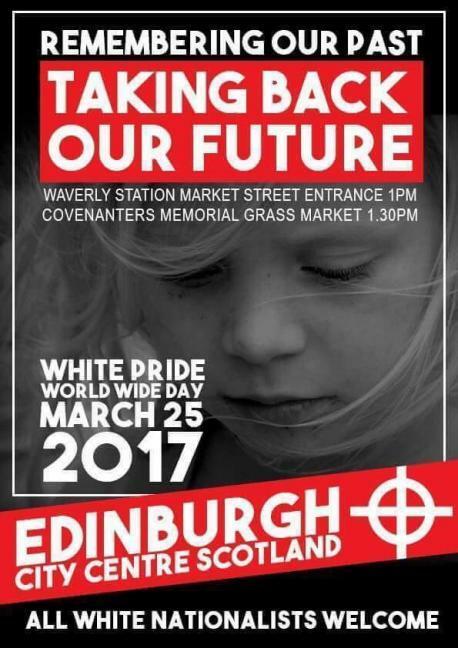 A group of ‘neo-Nazi’ extremists will march through Edinburgh next week to mark “Global White Pride Day”. The march is planned for the same day as a Sikh religious festival in Edinburgh, which will see hundreds take to the streets in a Nagar Kirtan procession, a traditional display of martial arts, hymns and music. Unite Against Fascism (UAF) claim the National Front has organised the demonstration, in collaboration with other far-right groups. The event appears to be organised by the same far-right groups behind a ‘White Pride Day’ celebration in Swansea, held on the same day in March last year. UAF have organised a counter-demonstration to oppose the White Pride March. A member of UAF said: “Emboldened by Nazi Le Pen’s polling in France and by the influence of white nationalists in Donald Trump’s team these fascists feel confident they can come to the streets of our multicultural city. “Edinburgh has a fine tradition of stopping racists and Nazis. 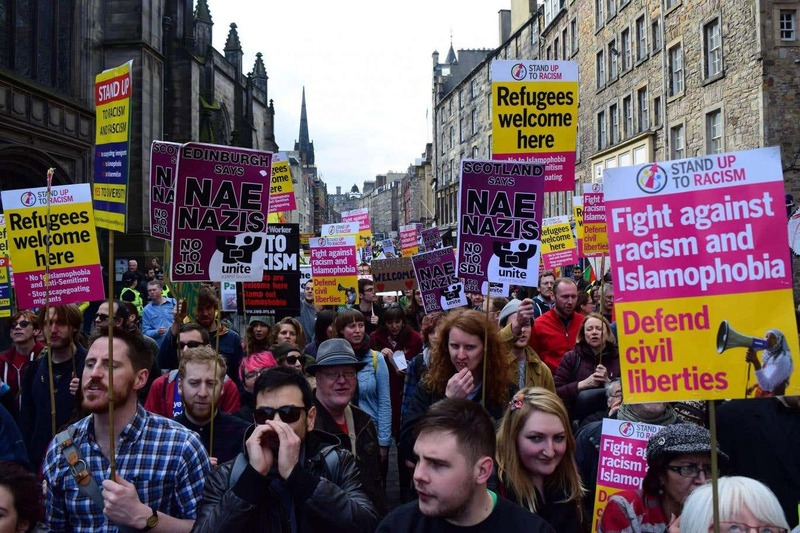 Should the National Front decide to step foot in Edinburgh, we call upon all anti-racists and anti-fascists to take part in the broadest united mobilisation. The march has been called just days after neo-Nazi propaganda was discovered at several bus stops in nearby Dunfermline. The material encouraged local people to “reject multiculturalism”, while some posters bore the slogan: “We must secure the existence of our people and a future for white children. The posters were soon removed and police are investigating. A spokesperson for campaign group Scotland Against Trump said: “We know that the majority of folk in Scotland oppose the extreme racism practised by so-called White Pride marchers and by far-right politicians in the UK government. A council spokeswoman confirmed no permission as yet had been sought for any ‘White Pride’ march in Edinburgh, but Police Scotland said they were aware of “several demonstrations” planned for the city centre on March 25. A spokeswoman told The Edinburgh News: “We are working with our partners, including The City of Edinburgh Council, to put in place a proportionate policing operation to facilitate peaceful protest and minimise disruption to the public.